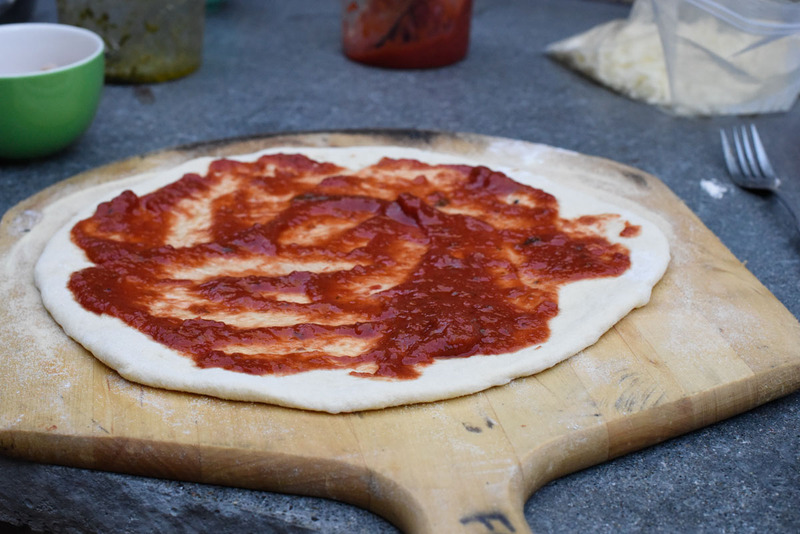 You all know that a great crust, properly baked, and an excellent sauce are key to great pizza. The third key in my opinion is high quality cheese. 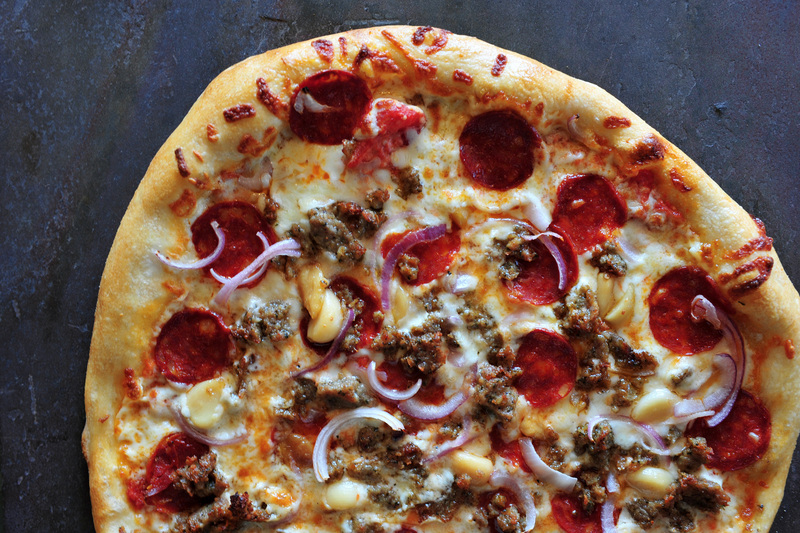 And mozzarella is king when it comes to pizza. The melting characteristics and flavor work perfectly. Fresh Mozzarella which has a shorter aging and is considered a High Moisture Mozzarella. Fresh Mozzarella comes in a cow’s milk version which is made worldwide, or a Mozzarella di Bufala, a very rich and creamy version made from the milk of water buffalo in the region of Campania. The latter is harder to find and more expensive but if you have never tried it you should. I have found it at Costco as well as at many specialty cheese counters. Standard Shredding (or pre-shredded) Mozzarella, which is usually labeled Low Moisture Mozzarella. This is a cow’s milk mozzarella and comes in Whole Milk (my preference) or Part-Skim versions. I love both styles of cheese but have a slight preference for, and primarily rely upon, standard shredding mozzarellas, unless I am making Pizza Margherita, in which case I like to use fresh mozzarella. In the states, I believe that the best mozzarellas come from Wisconsin. This is based on my personal blind tasting of multiple cheeses over my decades in the pizza business. Wisconsin cheeses are the most consistent in flavor and moisture content. That said, there are excellent cheeses from other regions. For my catering and classes I still buy the cheese I used at Frankie’s, a Wisconsin mozzarella made by a company called Vantaggio. Because I buy smaller quantities I generally meet my supplier at one of his accounts and we swap from his black SUV to mine. It feels like I am doing a drug deal! But whatever it takes to get the best cheese on the market. Unfortunately this cheese is not available to the public. 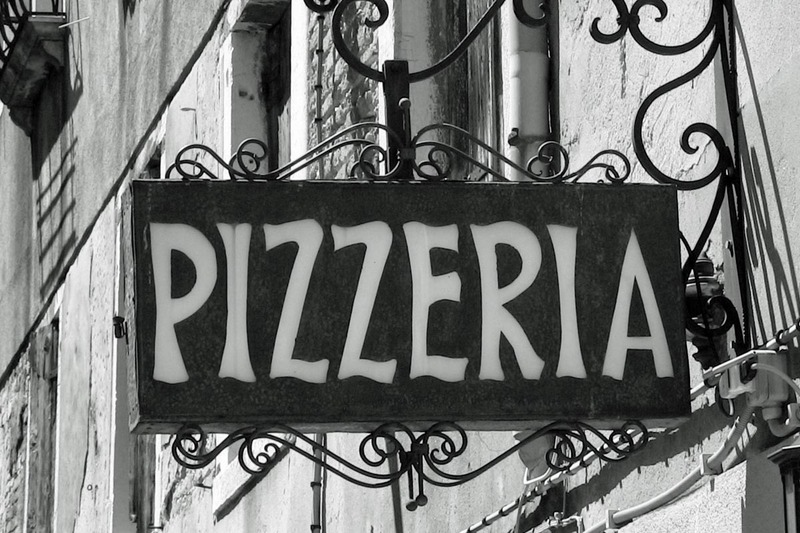 My mission… a quest to find the best mozzarella available to you… the everyday pizza aficionado who wants that same amazing quality but is consigned to buy their cheese from a grocery store. So I tested multiple brands of mozzarella available in grocery stores in the area where I live in Redmond, Washington, which is across the lake from Seattle. The cheeses I tested were all low moisture, shredding style cheeses. Someday I will do a test of fresh mozzarellas. I did not purchase every cheese out there. I stayed away from the low-price cheeses, or one’s which I felt would be inferior. And I probably missed a couple of good brands because I did not go to every single store in the area. Nonetheless, here is what I tested and my results. I tested five brands of mozzarella. I have rated them on a 10 point scale (using my Vantaggio as the Gold Standard… a perfect 10). Overall I was pleasantly surprised at the results. #5: Galbani Whole Milk Mozzarella… I had high hopes for this cheese which says on the label “Italy’s Favorite Cheese Brand” (though it also says “Product of USA”). It was good but not great. I found it to be a bit lacking in flavor and richness. Score: 7.5 Price: $5.79 per pound at Fred Meyer though often on sale. #4: Trader Joe’s Whole Milk Mozzarella… I love Trader Joe’s and most of their products. This cheese is better than the Galbani but did not quite stack up to the other brands. The flavor was very good but it lacked a little in creaminess. #3: Tillamook Part-Skim Mozzarella… the only version I found from Tillamook was a pre-shredded part-skim. I am a Tillamook fan and found this to be an excellent cheese for the price. It was rich and creamy with excellent flavor. It’s only draw back was it got slightly rubbery as it cooled, probably as a result of the lower fat content. #2: Boar’s Head Whole Milk Mozzarella… I have a friend who operates a Boar’s Head distributorship so I really wanted this to win and it almost did. This is a rich and creamy mozz with excellent flavor. It was slightly oilier after cooking but otherwise a superb cheese. #1: Rumiano Whole Milk Mozzarella… I had never heard of this cheese which I found at Whole Foods. It is expensive at $6.99 per pound. So the Boar’s Head or Tillamook both represent better values in my view. Nonetheless, if you don’t mind spending the bucks this cheese had the best overall combination of flavor, texture and mouthfeel. It was creamy, buttery, and had a great flavor though with a slight herbal flavor. When it comes to cheese on pizza, the sky is the limit. Do all the experimenting you want. If it sounds good to you it probably will be. Listed below are some of my other favorite pizza cheeses. It is by no means a comprehensive list. Provolone: Provolone comes in a an Italian (aged) version, or a Deli version, usually found in a round log at your deli counter. The latter is slightly softer and more subtle. Both are excellent for pizza. 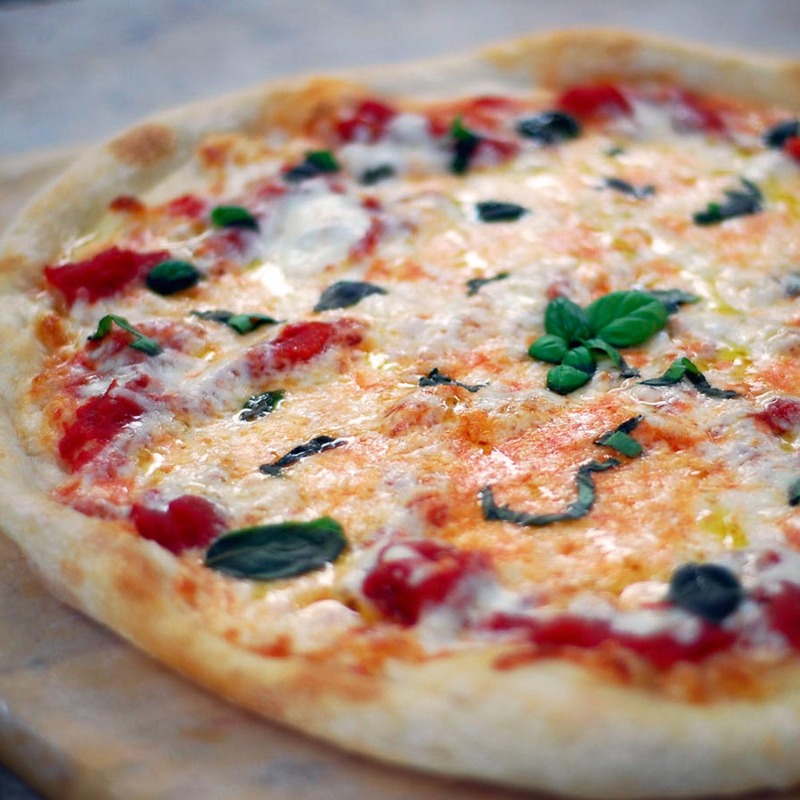 Many pizzerias use a blend of mozzarella with some provolone added. 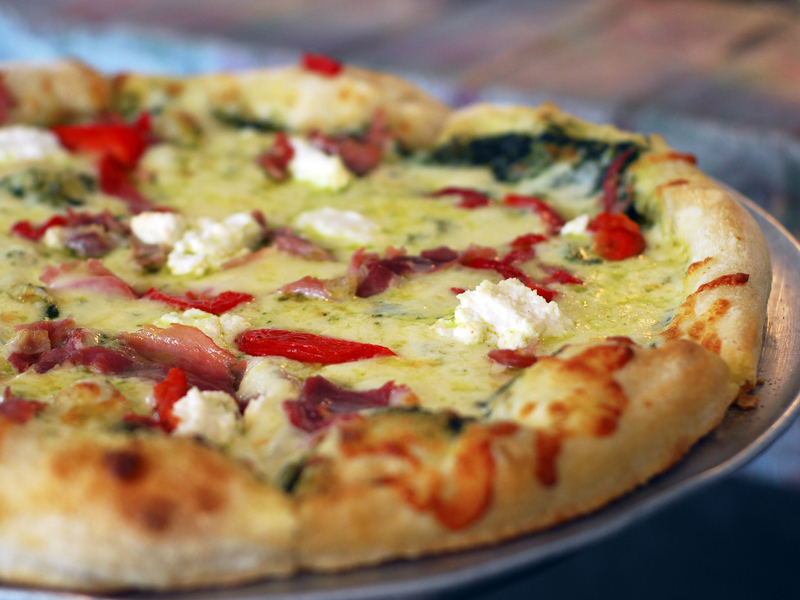 It is one of the cheeses used on this Pizza Calabrese (recipe below). Fontina: Fontina comes in an Italian version or a Danish version which is the most common. The Danish version has the red wax on it and works great for pizza. The Italian version is even better but hard to find and very expensive. It is one of the cheeses used on our Gourmet Vegetarian Pizza (recipe below). Smoked Mozzarella (and other smoked cheeses): I like smoked cheeses in certain applications but in moderation. If used straight I find it overwhelms the pizza. At Frankie’s we had a Wild Mushroom Pizza on our Autumn menu to which we added a blend of half smoked and half regular mozzarella. Smoked Provolone or Smoked Gouda can also be excellent. We added smoked gouda to our BBQ Chicken Pizza. 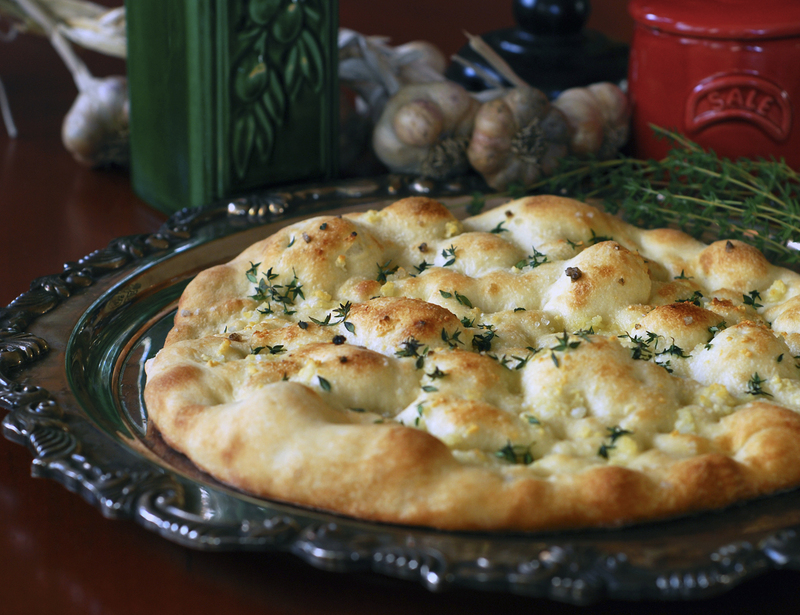 Asiago: The salty, nutty, tangy flavor of this cheese is especially great with vegetable pizzas. Look for the fresher version (rather than the harder dry-aged version), which melts super well. Parmesan: If you are going to use parmesan I recommend using the King of Cheeses, Parmigiano Reggiano. It is more expensive but a little goes a long way. The flavor is superior and these days it is easy to find. I buy it at Costco. Because aged parmesan is a drier cheese it is not a good melting cheese. I recommend mixing a little in with mozzarella. Pecorino: There are various Pecorino cheeses which are made from sheep’s milk and come in younger, softer versions which are milder, or harder, aged versions. The most common is Pecorino Romano. It is very salty so if using it, balance it with a mellower melting cheese. Ricotta: Creamy ricotta is very common on calzones (and in lasagna) but can also be excellent on pizza. If you use it I suggest small spoonfuls atop whatever other cheese you are using such as this Pizza Florentine (recipe below)..
Manchego: Manchego, a Spanish cheese, can be delicious on pizza. 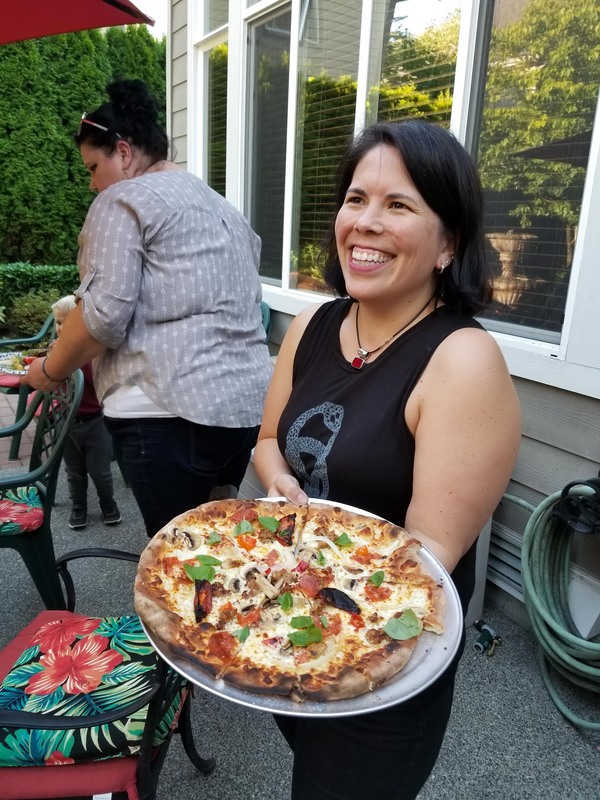 At Frankie’s we had a pizza on our Garlic Festival Menu called The Garlic Spaniard. 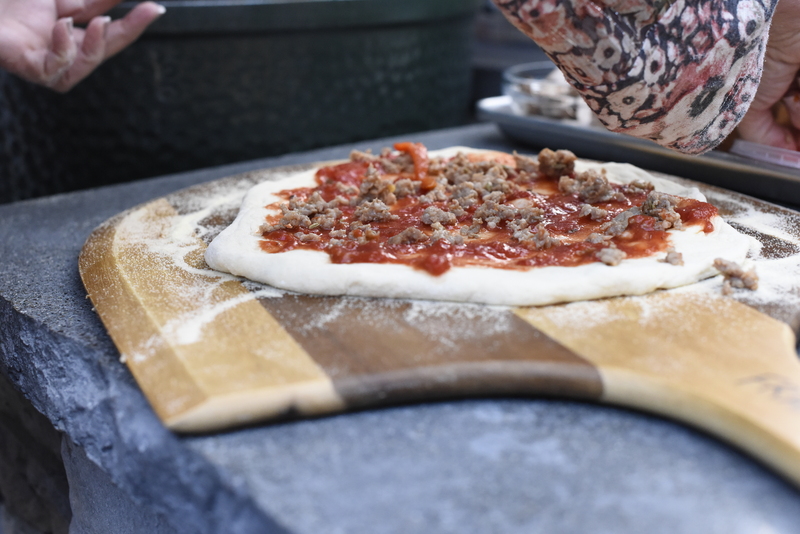 It was topped with a creamy tomato sauce with a touch of hot sauce; mozzarella and manchego cheeses, hard Spanish chorizo sausage, Italian sausage, roasted garlic and red onions. So that’s it for cheese suggestions. Below are a few of my favorite pizza recipes, most of which use combinations of these cheeses. Buon appetito. May God richly bless your table with love, laughter, and great food! 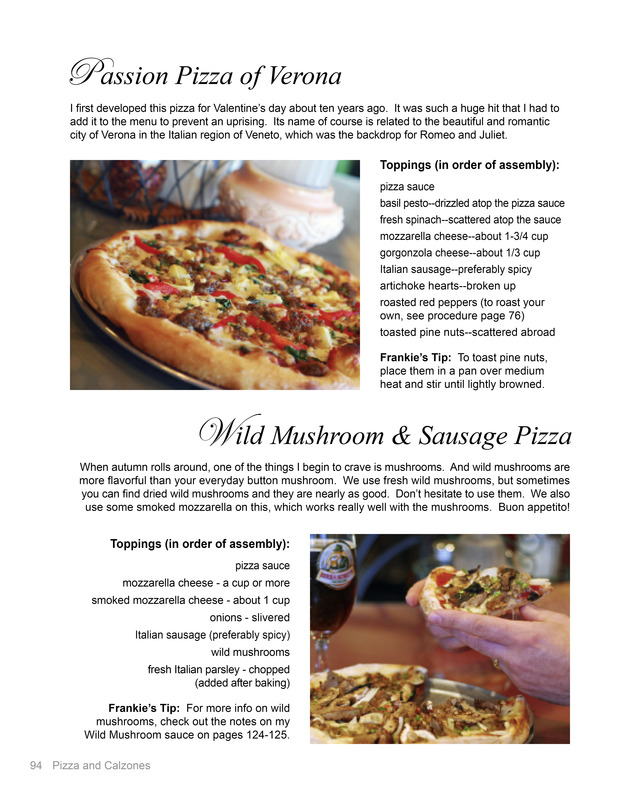 Following are recipes for six of the pizzas we served at Frankie’s (2 per page). If you would prefer the recipes in PDF format, click the links below. Variations on a Theme: On my catering menu I have seasonal variations of the classic Insalata Caprese… one is on my Winter Menu, so naturally I call it my Winter Insalata Caprese. Then for this upcoming season I have… yeah you guessed it… a Spring Insalata Caprese. So original, huh? While the names might not be so original I feel that I have put my own creative twists on this Italian classic. But why mess with perfection? A Simple Answer… a traditional Insalata Caprese is only good with fresh, vine-ripened tomatoes bursting with flavor. And you don’t find those here in Seattle unless it’s mid-to-late-summer and you either grow them yourself or buy them at your local farm stand or farmer’s market. I’ll come back to the tomatoes later. At Frankie’s we did a couple of variations on the Insalata Caprese over the years, including this stacked version. But we only offered it on our summer menu for the reasons listed. Other Key Ingredients: Two other key ingredients on an Insalata Caprese are fresh mozzarella (the young, creamy version of mozzarella), and fresh basil. We’re fortunate to live in an age when these items are readily available. Almost every store carries fresh mozzarella, though as you might expect, some brands are better than others. You can also get fresh basil almost year round around here. I like to buy the live plants (which are grown in greenhouses). The best plants I’ve found are at Trader Joe’s. They have them nearly year-round now. Let’s Talk Cheese! There are just minor variations between my Winter and Spring version of this salad. On my Winter version I use burrata cheese which is a fresh mozzarella with a creamy filling. It’s delicious! For my Spring version I switch to authentic mozzarella di bufala (buffalo milk mozzarella). We are not talking the American bison here. This mozzarella is made from the milk of Italian water buffalo, traditionally manufactured in Campania. The authentic stuff has a DOP designation which translates Protected Designation of Origin. This ensures it is made with the right ingredients, from the designated area, using the same recipe. You can of course switch up either of these cheeses, or use a more moderately priced fresh mozzarella made from cow’s milk. But if you want to take it to another level, I suggest one of these. I find the burrata at Trader Joe’s and the mozzarella di bufala at Costco. Optimizing Flavor of Off-Season Tomatoes: Another difference with my variations is that I do not slice and layer these cheeses as you would in a traditional Insalata Caprese. I leave the mozzarella balls whole and then top them with roasted tomatoes… actually to be more accurate I grill my tomatoes on my outdoor grill. Why? Because the best tomatoes this time of year are little ones… cherry tomatoes or something similar. And the grilling, which I do with some extra virgin olive oil, really brings out the flavor! My favorite tomatoes for this are from Trader Joe’s. They are called “Heavenly Villagio Marzano Tomatoes” and are described as a Mini San Marzano Plum Tomato. They are grown in greenhouses by Village Farms, and are really, really good, especially when roasted or grilled! 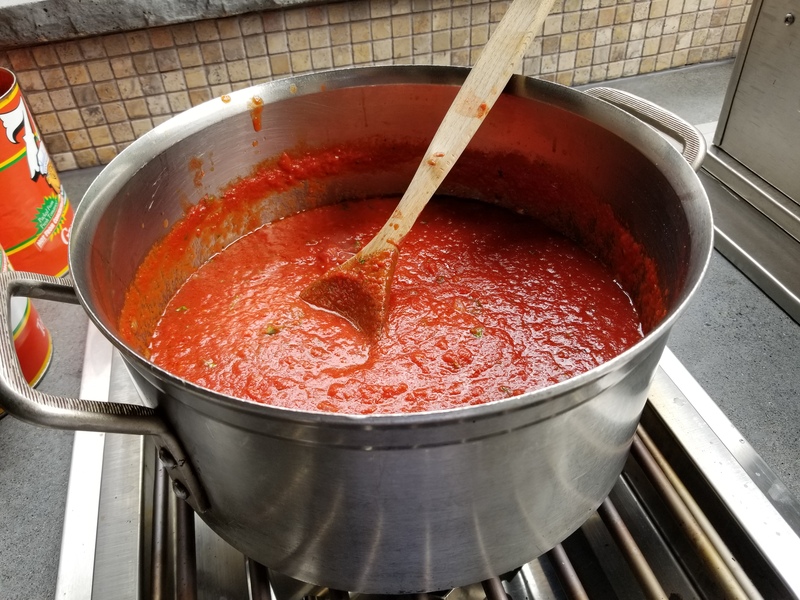 How I Grill the Tomatoes: Easy… take some heavy duty foil, fold it two or three times to make it thicker, and fold up the edges to form a shallow vessel. Drizzle olive oil on the foil, add the tomatoes and toss to coat with oil. Then I grill them over medium to medium-high heat until they are softened, and some are a little blackened and start to burst. Transfer to a covered container and refrigerate until ready to use. If you don’t want to grill them you could accomplish the same thing in the oven using high heat (say about 425 F), or a broiler with the pan down a couple of levels from the top. Another twist… Pesto: The next twist on my recipes is to top these salads with pesto instead of layering fresh basil leaves (there are no layers anyway). I love the look and flavor of doing it this way. On my Winter version I use an Arugula Pesto since arugula is a more seasonal winter ingredient, but you could use Basil Pesto if you prefer (homemade or store bought). If making your own pesto, the Arugula Pesto recipe is very similar to my Basil Pesto recipe, and both are easy to make. I prefer to make my own (make extra and freeze it! ), because store bought brands almost always use inferior oils and cheeses. But if you want to buy Basil Pesto I think the one from Costco is the best I have found. Two More Flavor Enhancement Options: To bring this to another level… first I like to add an artful drizzle of balsamic glaze. You can make your own easy enough but this one I suggest buying. One that I like is Nonna Pia’s which I got at Costco but I’m sure there are other good brands. Secondly, top it all with a good coarse or flaky sea salt such as fleur-de-sel, maldon, or a flaky pink Himalayan salt. Putting It All Together: Okay, let’s put this all together now. One important thing… when removing your fresh mozz or burrata from its brine, gently dry it with paper towels before using. I like to use a narrow rectangular tray, platter, or cutting board for presenting this. I place three or four balls of the mozzarella in a row… top with the roasted tomatoes… drizzle with pesto… and maybe with the balsamic glaze if you desire. grill, flipping with tongs when ready, until toasty on both sides. I do this ahead of time, when I grill my tomatoes, and then re-warm briefly in an oven before serving. Place in a bread basket next to the Insalata Caprese. All in all this may seem like a lot of steps but it’s really very easy and most of it can be done in advance. Then it only takes a few minutes to assemble and serve. Trust me, your guests will be impressed! Time to eat. 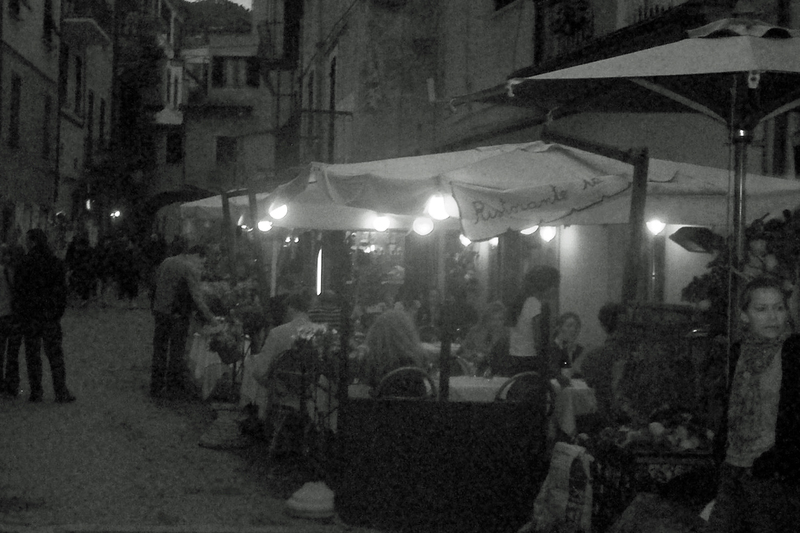 Mangia, mangia! Buon appetito! Here is my Winter & Spring Insalata Caprese recipe as well as the recipe for Arugula Pesto. You can find the recipe for my Basil Pesto on my most recent post (just keep scrolling down). Below are the recipes for the Winter-Spring Insalata Caprese and Arugula Pesto.